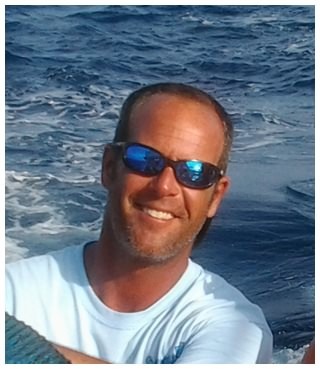 Captain Corey Simmons, owner and operator of On The Hook Charters of Daytona Beach, Florida, is a native Floridian who has spent over 28 years as a professional fisherman in the Daytona Beach area. Captain Corey has spent his entire working career fishing in the Daytona Beach area as a commercial fisherman and as a professional recreational fishing guide. He has also fished extensively in the waters surrounding the nearby fishing communities of New Smyrna Beach, Ponce Inlet and Port Orange, Florida. Great with Experienced Anglers and First Timers! Captain Corey has that rare combination of outdoorsmanship and people skills that makes fishing with him a truly fun and relaxed experience. He truly loves showing inexperienced newcomers how to fish as well as showing experienced anglers what a great place Daytona Beach is to fish! He is especially good with families and children and his Daytona Beach fishing charter business, On The Hook Charters, is always Family Friendly! As a professional fisherman with nearly three decades of experience, Captain Corey's fishing skills and knowledge of local waters and fish species greatly enhance even the most seasoned angler's time on the water. 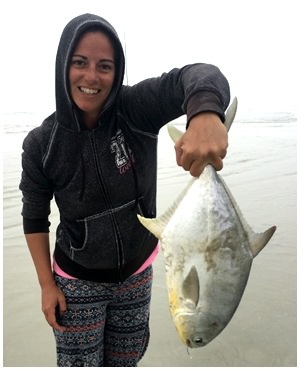 Captain Corey is extremely knowledgeable of the habits and habitats of local fish species that inhabit the inshore and offshore waters around Daytona Beach. This includes highly valued inshore and nearshore saltwater species such as tarpon, redfish, snook, spotted sea trout and flounder that inhabit Daytona Beach area inshore fishing grounds such as the Halifax River and Spruce Creek and nearshore fishing grounds along the Daytona beaches and in state waters up to 3 miles offshore. The nearshore species targeted by Captain Corey include many types of sharks that are plentiful just offshore near the Daytona beaches. 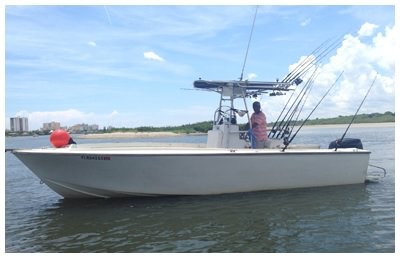 Captain Corey specializes in shark fishing trips that offer great shark fishing just offshore from the Daytona beaches. 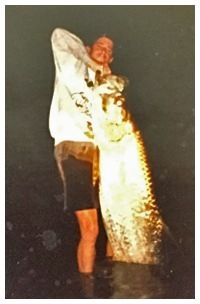 His Captain Corey is experienced in both offshore trolling and bottom fishing. His knowledge of local fish species extends to offshore and deep sea species found in the Atlantic Ocean. Captain Corey's On The Hook Charters offers both offshore trolling and bottom fishing. While trolling on an offshore charter along the edge of the Gulf Stream with Captain Corey, his guests can expect to catch a wide variety of pelagic species such as Mahi-Mahi (aka Dolphinfish or Dorado), King Mackerel, Cobia and several species of Tuna. Tuna species run seasonally but include Skipjack Tuna (aka Bonito) Blackfin Tuna and Yellowfin Tuna. Captain Corey's bottom fishing offshore charters include fishing for several varieties of Grouper and Snapper including the awesome Gag Grouper and Red Snapper. Captain Corey's many years of offshore fishing experience has taught him the prime bottom fishing locations where natural reefs, shipwrecks and man-made reefs of everything from old ships and barges, bridge rubble, telephone poles, concrete culverts and more have been placed in 60 to 80 feet of water to create incredible habitats for bottom hugging species. When not guiding other anglers on his fishing private fishing charters, Captain Corey can be found fishing commercially in the waters near Daytona Beach, New Smyrna Beach or Ponce Inlet. He has been a commercial fisherman for many years working for himself and some of the most noted commercial fishing operations in the Daytona Beach area. As a commercial fisherman, Captain Corey has become a master of the habits and movements of large schools of commercially valuable fish including sheepshead and Florida mullet. It's a business where only the best and most dedicated can survive fishing for a living. Captain Corey is one of those most dedicated and knowledgeable fishermen you will find anywhere in Florida. So for a great time on a Daytona Beach fishing charter with a friendly, experienced and knowledgeable local fishing guide, be sure to go fishing with Captain Corey. Captain Corey will put you on the fish! Captain Corey and his On The Hook Charters serves visitors to Daytona Beach, Ponce Inlet, New Smyrna Beach and Port Orange, Florida. 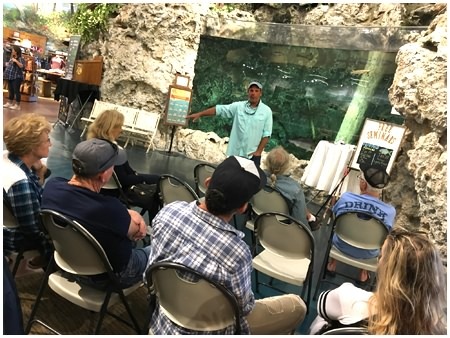 Captain Corey, National Saltwater Series Speaker for BassPro Shops, January 2019. Look under “POMPANO SEMINARS’ on the poster at right.